The Brooks 12V Power Supply EK Adapter provides a solution for easy installation and connectivity where a 12V power supply is needed. 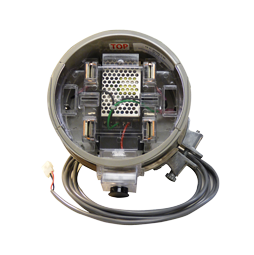 The adapter provides an integrated 25W supply that can be used to power AMI communication devices, remote voltage sensors, natural gas monitoring equipment and FTTH optical network terminals(ONT). For higher power applications (requiring more than 25 watts) we have the 12V-75 Watt EK Adapter. The larger power supply provides a higher rating to accommodate the needs in multi-dwelling unit (MDU) applications for FTTH as well as situations for monitoring equipment that require a substantially larger power draw. This solution was specifically designed for FTTH applications where a battery backup power supply (BBPS) was required to ensure access to E-911 services during unexpected power outages. The 16V adapter provides additional voltage to ensure charging capabilities over longer installation distances between the meter socket and ONT. 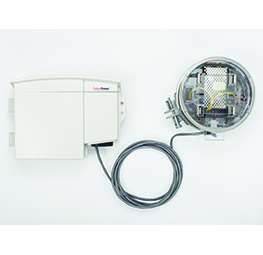 The most comprehensive option in the Brooks FTTH portfolio is the Field Installation Kit. The kit offers utility personnel a turn-key package for installation of the battery backup power supply, battery, adapter, and wiring in one convenient package. The Brooks EK-4J-SP4995-C-S2 adapter (included in the kit) provides an integrated power supply for converting the utility line voltage to 12V. 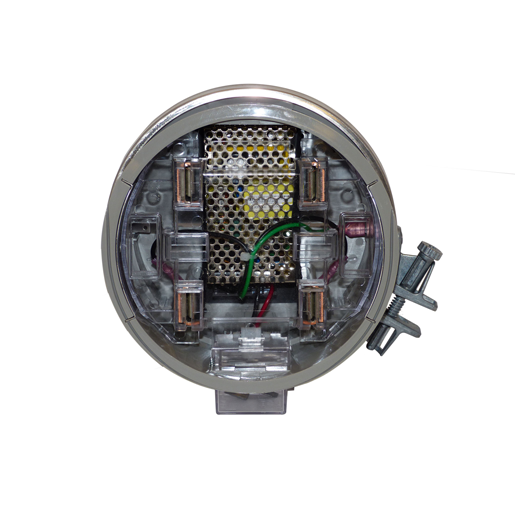 The lower voltage is used to charge and recharge the battery backup device required for most FTTH installations. Kit includes: EK-4J-SP4995-C-S2 Adapter, Brooks 10- 9090 Handi-Ring, CyberPower 12V Battery Backup Unit, 7.2aH Rechargeable Battery and 10’ of Cable.